Hey guys, Thanks for checking out the first public release of our game Magnesian. Build 1.0 is going to be a learning process for us - we're releasing this for assessment purposes, but we're also keen to get some feedback from you guys. Think of this one as us testing the waters. Build 1.0 Features:- Single player, side-scrolling puzzle platformer. - Abstract magnetism - magnetic objects have a single charge (+/-) and can be manipulated with 2 tools/weapons. - Explorative / Sandbox gameplay; discover the true power of RP-1's magnetic abilities through experimentation. Puzzles are open and often have multiple solutions. - Charge Beam: Fire beams of positive or negative polarised energy; interact with objects in the environment. - Switch Beam: Fire projectiles that will toggle the polarity of a magnetic object on impact. 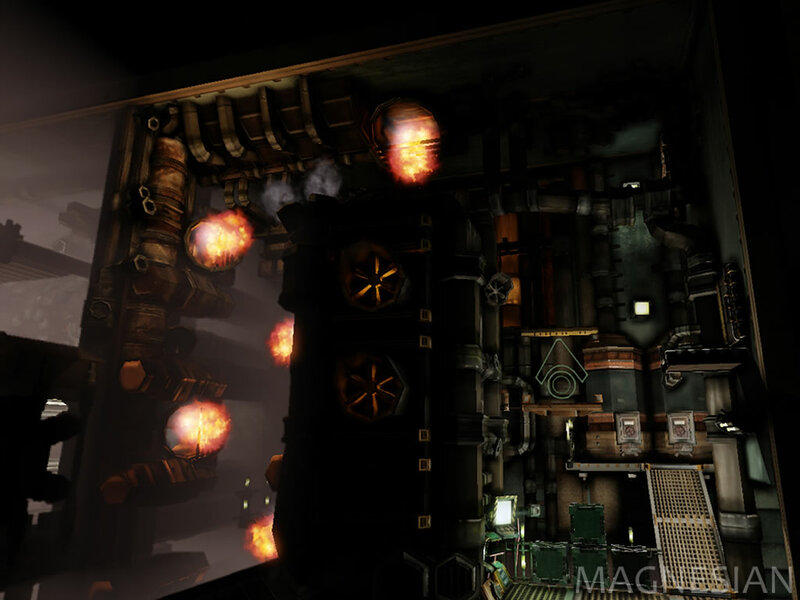 - Main story level set in the lower depths of Magnesia's industrial sector. - 2 Tutorial levels (Basic & Advanced). - 5 Delivery Challenge levels (Jungle, Fields, Heavy Grav, Twin, Dark). Shorter levels in which the player must take a magnetised charge ball to the end. - 1 Gauntlet Challenge level (Short Run). Shorter level in which the player must race through the obstacles while avoiding numerous security systems. Although we are proud of the release, there are some notable elements missing from the game. If you are confused about any aspect of the gameplay please check out the Readme that's included with the download. We are currently hard at work on the next version and would like to hear what you guys think - what do you want to see included, what's missing, what needs to be tweaked? Your feedback is priceless. What's to come in 1.1:- Adjustable settings (resolution, sensitivity, etc). - Trophy system / achievements for challenge completion times. - Introduction to levels, better explaining objectives & setting. Download at your page works, downloading now & tracking for the future. Yeah +1 dl here too, going to your site to get it. I'm going to have to install UT3 before I can try it out though. Just read the article too haha. Good stuff. As far as reviewing the game, that would be cool :) Keep in mind that we have a 1.1 version coming soon though.